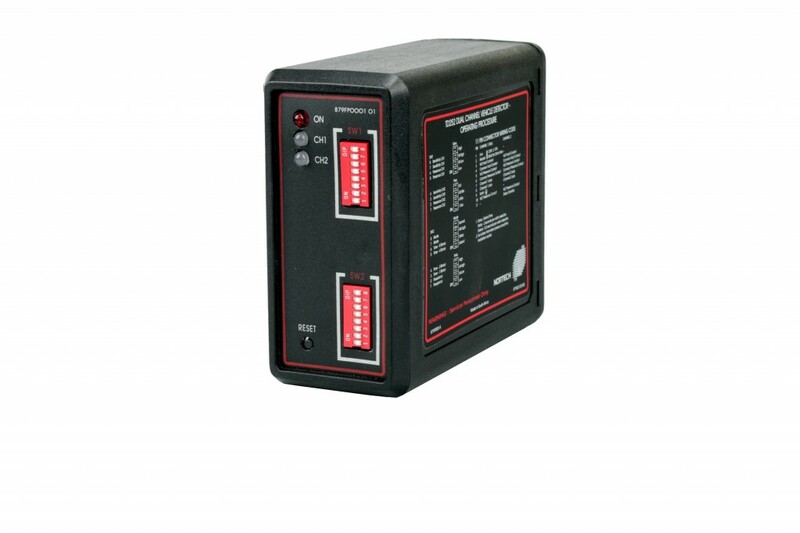 The TD250 range is a dual channel detector with advanced “logic” features. These include direction sensing and delay / extend timing for queue detection and traffic phase extensions. The TD250L has programmable speed / vehicle headway thresholds for controlling “too fast / too close” warning signs. Relay 1 – Presence Output or Direction (A – B) option. Response time: Turn on / turn off is 60ms. Protection: Loop isolation transformer, zener diode clamping on loop inputs and gas discharge tube protection. Fault relay: 1A@230V AC – Normally open contacts.